A poor jockey, a good horse, a moderate bet. A good horse, a moderate jockey, a moderate bet. A man who plays the races successfully must have opinions of his own and the strength to stick to them no matter what he hears. Successful handicappers know every detail in regard to the horses upon which they are intending to place their money. The minute that a man loses his balance on the race track he is like a horse that is trying to run away. A man cannot divide his attention at the track between horses and women. All consistently successful players of horses are men of temperate habits in life. The racing man should arise in the morning cool and clear headed and should then take up the problem of the day. Some horses will run good races over certain tracks, while in the same company under similar conditions on other tracks they will run very disappointingly. Study the likes and dislikes of a horse in regard to tracks. 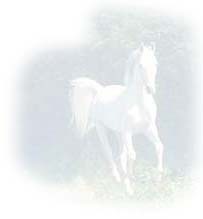 If there are two or three very fast horses in a race one or two of them will quit before the end of the journey. Hence look out for your intelligent jockey. Many killings are attempted but few are accomplished. In handicaps the top weights are at a disadvantage always unless they are very high class horses. There are few trainers who can send a horse to the post the first time out in perfect condition. One race for a horse is equal to two or three private trials. Horses are the same as human beings where condition is the test of superiority. Winners repeat frequently while the defeated are apt to be defeated almost continuously. The majority of horses will go further over the turf than they will over the dirt course. Mud runners are usually good on the turf. Time enters into the argument under certain conditions, but if depended entirely for a deduction it will be found wanting. The ability to tell whether a horse is at its best before a race is acquired only after years of the closest kind of study. Special knowledge is not a talent. A man must acquire it by hard work. A horse that frets is a very dangerous betting proposition. The majority of the riders and horses are game and will fight for victory no matter where they are placed. Some jockeys excel on heavy tracks. A good mud rider will frequently bring a bad horse home. The basis of all speculation is the amount of profit to be obtained on an investment. It is not always the heaviest commission that is collected. The weight of the commission does not make a horse win. A poor man's horse and his $10 speak as loudly as a $10,000 commission from a millionaire. It is the horse that must be considered. The clocker is something like the scout in the army. Honest horses, ridden by honest boys, are sometimes beaten by honest trainers. Instructions are given to the riders which mean sure defeat when intended to be for the best. The resistance of the wind is very great in a horse race and it is correspondingly great when acting as a propeller. Wind and atmosphere have considerable effect on horses that are troubled in their respiratory organs. Class in a horse is the ability possessed by it to carry its stipulated stake weight, take the track and go the distance that nature intended that it should go. I figure that two-year-olds can give considerably more weight away to horses in their class, than can horses in the older division excepting in isolated areas. There is enough natural inconsistency in horse racing without having it forced upon the public by unscrupulous men, yet there is not one-tenth of one per cent, as much crookedness on the turf as it is given credit for. A horse that is not contented in his stable cannot take on flesh and be happy. Every horse I ever owned improved after I had him long enough to study his disposition. A horse expects to race if he is a thoroughbred, just the same as a game chicken is anxious to fight. When you feel yourself getting out of form then take a rest and freshen up. What is frequently right in form is wrong in condition. If a horse is not in good condition he might as well be in the stable. Look for improvement of mares in the fall of the year. They train better and are more consistent. There are mud riders as well as mud runners in the racing world. A jockey should not be overloaded with instructions. It is not bad speculation to pick out two or three sure looking bets and parlay a small amount. Cut your bets when in a losing streak and increase them when running in a spasm of good luck. Double your wagers when you have the bookmakers' money in hand. Condition has more to do with a horse winning or losing a race than the weight it carries. A horse in poor condition cannot beat one of his own class. A high class horse could not win a race with a feather on his back if he is not in condition. Watch all the horses racing closely. You may see something that will be of benefit later on. It is as well to play horses that are in winning form. A horse in winning condition generally repeats or runs into the money. Different tracks cause decided changes in form frequently. Study horses' whims and fancies for certain tracks and you will see a good "lay" or a good "play." But a high class horse will do his best on any track. The less one thinks of crookedness and trickery in racing the more successful will be his handicapping. Look for defect in your own calculating rather than cheating of others. Learn to finance your money to advantage. Know when to put a good bet down and when not to. by Edward W. Cole, Turf Editor of the New York Evening Telegram.